ACN is authorized to provide BACB Type 2 CEUs for the courses described below. 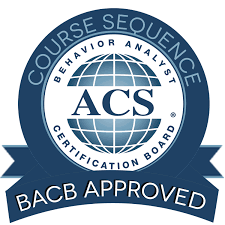 These trainings are specifically designed for certified Behavior Analysts (BCaBAs/BCBAs/BCBA-Ds). The content of the trainings assumes that participants have mastery of ABA content areas as determined by the BACB task list. To participate using this option, you must have a working webcam and microphone on your computer, laptop, tablet, or smart phone. Participants are expected to participate on camera during the training. Participation is possible through desktop, laptop, table/iPad, and smartphone. For system requirements click here. To register click below or call (210) 435-1000. For more information, contact Dr. Berenice de la Cruz at berenice@acn-sa.org. Please visit again for future trainings.